I want to create a monument so inspiring that people from all over America will be drawn to come and look and go home better citizens. Every year millions of visitors make a pilgrimage to Mount Rushmore National Memorial. Tucked in to the Black Hills of South Dakota, Mount Rushmore not only represents the history of America, but invokes a different significance for each visitor. Whether your personal meaning involves patriotism, inspiration, history, or a renewed sense of civic unity, a visit to Mount Rushmore can inspire the personal bond between citizens and their country. Driving up Highway 244, you'll catch your first glimpse of the mountain. At 60-foot tall, the four U.S. presidents — George Washington, Thomas Jefferson, Theodore Roosevelt, and Abraham Lincoln — tower over the Black Hills as if they have always been there. If you arrive in the early morning, the sunlight directly hits the faces and provides the best lighting, as artist Gutzon Borglum intended. The drive provides an opportunity to reflect on the magnitude of effort it took to carve a sculpture into the mountainside. Walking along the Memorial pathways provides unique view of the sculpture. The Avenue of Flags showcases all 50 state flags and the flags of the six districts, territories, and commonwealths associated with the United States. The Presidential Trail leads to the base of the mountain where you can examine the subtle details of the granite carving. From this perspective, you can see the wrinkles on the foreheads, Roosevelt's granite eyeglasses, or the carving innovation that Borglum used to create the eyes. The commitment and skill of over 400 workers is visible in the delicate details that bring the presidents' features to life. During the summer, you'll want to explore the Lakota, Nakota and Dakota Heritage Village that celebrates the region's vibrant American Indian culture. 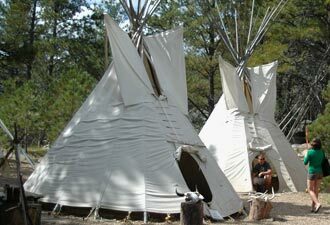 The people and places of the Black Hills tell the story of those who have inhabited this land for thousands of years, the stories of expansion, frontier life, and the future of America as a united people. This diversity makes Mount Rushmore an ideal place to explore the American story, in all its facets. The Memorial offers many more opportunities to discover your personal connection to this place. The Lincoln Borglum Visitor Center provides a movie, museum, and exhibits that share the stories of American history and the carving of the memorial. Gutzon Borglum's historic Sculptor's Studio houses his original model for the mountain. Standing next to the model and looking out the large picture window, you can witness the difference in what Borglum envisioned and what was actually carved. 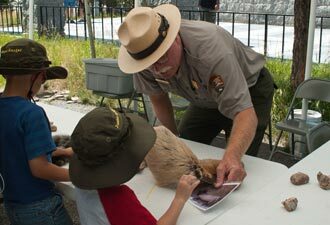 The Junior Ranger program and the summertime ranger programs are also great opportunities to learn more about the Memorial. Held nightly throughout the summer, the evening program and lighting ceremony is one of the most memorable events at the park. Through ranger programs, exhibits, and quiet moments along park trails, Mount Rushmore National Memorial imparts a truly unique, personal experience for every visitor. 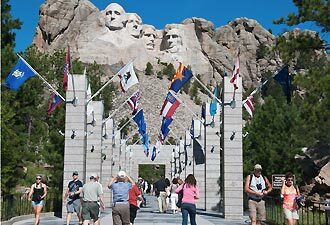 A trip to Mount Rushmore and the Black Hills showcases America's past and celebrates its future. And, as Gutzon Borglum hoped when he first started this project, this memorial continues to influence visitors today. Learn more about Mount Rushmore National Memorial at www.nps.gov/moru.